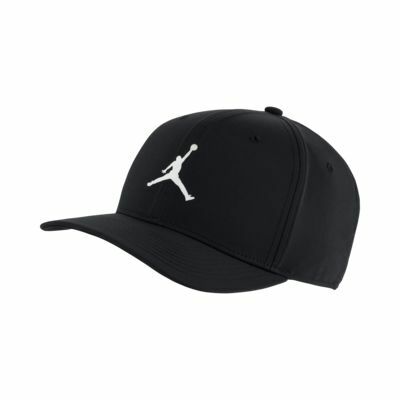 Fly the Jumpman on the classic design of the Jordan Classic99 Hat. Its comfortable stretch fabric has sweat-wicking technology for a cool, lightweight feel. Woven polyester has elastane yarns for stretch. Snap-back closure gives you an adjustable fit. French terry sweatband has a soft, comfortable feel. Jumpman design trademark is heat-transferred onto the front. Fabric: Body: 95% polyester/5% elastane. Back of front panel: 100% polyester. Underbill: 100% cotton. I got ,it today .This is awsom.